Can FullStory show me the most common referrers for my segment? Yes it can, with the Top Referrers Searchie. The Top Referrers Searchie appears alongside any search or saved segment. 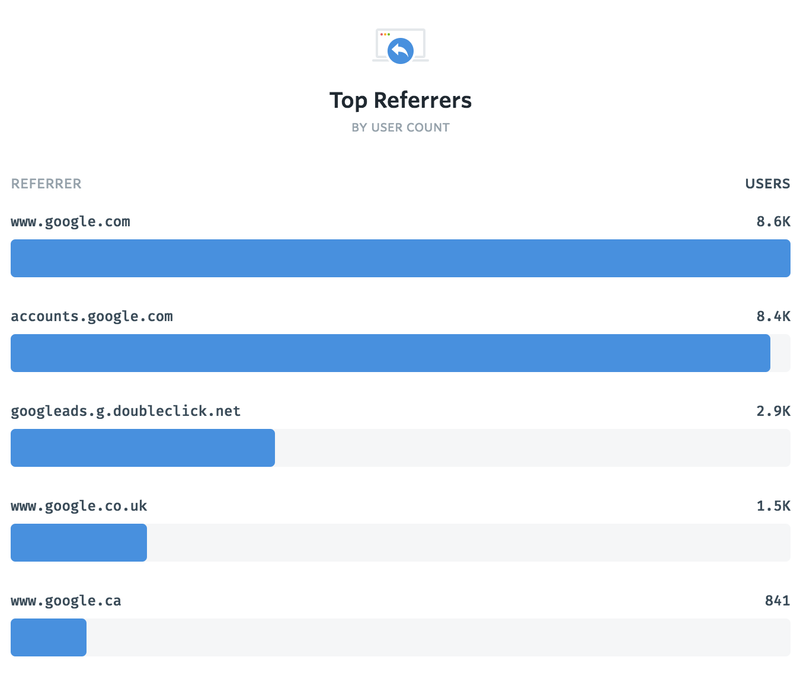 This Searchie highlights the top referrer, plus a number of the next most common referrers, and indicates how many users visited you via that referrer. If you'd like to quickly zoom into the users from a single referrer, just click one of the bars in the Searchie and your search is instantly created. When will I start to see recordings in my FullStory account? What happens when FullStory undergoes updates? Does FullStory tell me how many people match my search query? Does FullStory have reduced pricing for new startups?